When it comes to gluten, we’re definitely getting mixed messages from the health and wellness community. Is it good? Is it bad? Is it only harmful for people with intolerances or Celiac disease? Well, it’s time to break it down and get some clarity about whether or not gluten is bad for you. 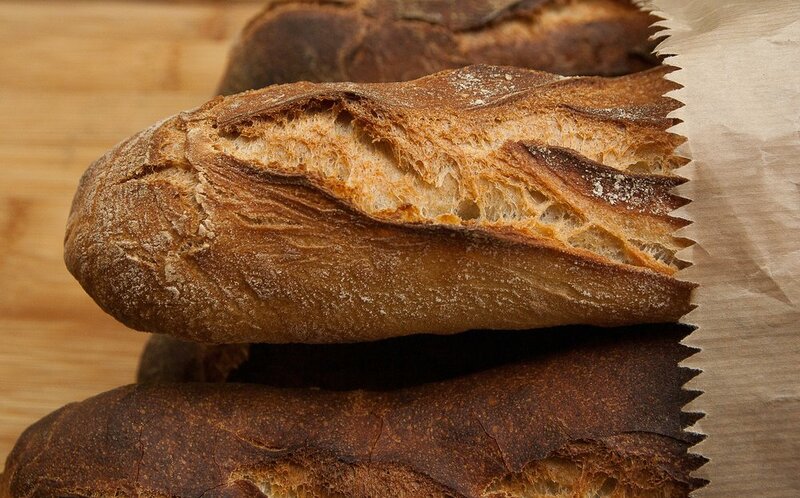 But first and foremost...what exactly is gluten? Put simply, it’s a protein found in wheat. Those with Celiac disease, an autoimmune disease triggered by gluten. It is a serious, genetic condition which can result in debilitating digestive symptoms and a host of other health problems. NCGS has been misunderstood (especially by the media), but it is a very real condition and often underdiagnosed. In fact, it’s been linked to irritable bowel, fibromyalgia, schizophrenia, insulin resistance, depression and inflammation. In people with NCGS, gluten can negatively affect the digestive system, mental health and the brain, the immune system, the cardiovascular system, the hormone and reproductive systems and overall inflammation levels in the body. So, you may be asking yourself, which one am I? Let me ask you...do you eat wheat products, but can’t tell if they’re affecting your health? Or maybe you have some nagging symptoms, like headaches, seasonal allergies, or constipation, but aren’t sure why? Gluten could be a factor. New findings from Harvard show that gluten has a negative effect on everyone’s health. This happens through a condition called leaky gut, or intestinal permeability, where gluten proteins directly damage the lining of the gut. When the lining of the gut is damaged, it interferes with our ability to absorb the nutrients we need for our brain, heart, bones and all the systems in the body. And because 70% of our immune cells are located in the digestive system, this means leaky gut can wreak havoc with our immune function, leading to allergies, frequent colds, infections and autoimmunity. Leaky gut is also a precursor to: mood and memory issues, diabetes, depression, anxiety, chronic joint pain, weight management issues, hormone problems and digestive problems of all kinds (including IBS). That being said, while Harvard researchers found that intestinal permeability, leaky gut and damage to the gut lining occurs in everyone who eats gluten, the damage is worst in those people who have Celiac disease or non-Celiac gluten sensitivity. So here’s the takeaway: gluten is bad for everyone because of its effects on gut health. Because the gut is the foundation of health for all systems in the human body, you’re doing yourself a favor if you avoid gluten. It's a great step to take for keeping your mind and body healthy, improving your longevity, and living in true wellness. Not sure if you’re sensitive to gluten or not? Are you curious about going gluten free, but need a helping hand? Learn more about my wellness program, the Gut Brain Reset, by booking a free Discovery Session with me at Gut Instinct Wellness™.